David Letterman’s “My Next Guest Needs No Introduction” episode with Jay Z is sizing up to be a damn good one. Hov talks candidly about being grateful for his lifestyle, the conversation he had with his mother about her sexuality, and he even tells a story about hurting Blue Ivy’s feelings. 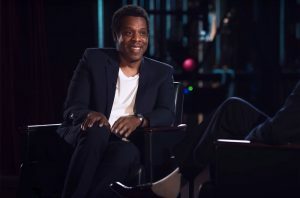 JAY-Z’s episode of “My Next Guest Needs No Introduction” airs Friday (April 6).